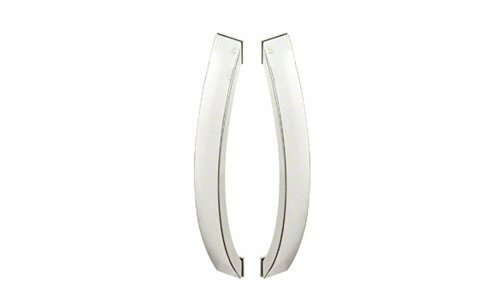 For 3/8" and 1/2" (10 and 12.7 mm) Glass Available in Two Sizes and Two Finishes CRL Glass Mounted Arc Style Pull Handles are made from stainless steel and offer an elegant arc style look for 'all-glass' doors. The arc projection at the center is 2-1/2" (64 mm). Overall length of handle is 15-3/4" (400 mm).